Kathy Hester lives in Durham, NC with her two cats who would rather not live together, a cute dog with a belly rub addiction, her very own picky eater, a kitchen garden, and more slow cookers than one person should own. She writes HealthySlowCooking.com, is the vegan blogger for Key Ingredient and writes for various publications like Chickpea Magazine. She also teaches vegan cooking classes, has put together a social media class for writers and has more classes in the works. Caryn Hartglass: Hello everybody, I’m Caryn Hartglass. Hey, how you doing. It is August 20th, 2013 and it’s time for It’s All About Food. So what’s going on with you, you got some good food stories? Why don’t you share them with me at . You know I love talking about food, I love hearing about food and so let’s just keep talking about it. Now today is very important because we are going to be talking about a kind of food that I don’t think gets the press it deserves. So let’s bring on my first guest Kathy Hester who has come out with the book The Great Vegan Bean book and we are going to talk about the wonderful properties of beans and I’ve learned a few things from this book so Kathy Hester thank you for joining me on It’s All About Food. Kathy Hester – I’m happy to be here, especially talking about beans. 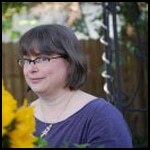 Caryn Hartglass: Especially talking about beans! You know, there’s a lot of things people have to say about beans but I don’t think we are focusing on all the right things but we are going to do that in the next half hour because beans, well, I’m reading in your PR information that they just may be nature’s perfect food! Kathy Hester: I think they’re kind of magical, so I think they might even be beyond perfect. Caryn Hartglass: Beyond perfect! You know, we’ve heard for too long that the egg is the perfect food or milk is the perfect food and we are really off the mark there, there are so many issues with those foods. Caryn Hartglass: The bean, but the bean! So, people may be shaking their heads like what are you talking about but we are now going to talk about why beans are so magical. So where do we begin, why did you write this book? Kathy Hester: Well, why I wrote it, actually the publisher was looking for a bean book and I love to learn about things so I was like sure, I’ll do a bean book I can find out all kinds of cool things. And obviously I’ve been vegan for a few years but I’d been vegetarian before that for about 35 years so I’ve been eating a lot of beans. And at first people tend to thing that they’re kind of boring, and that was one thing I really wanted to take off the table because beans are only as boring as the person cooking them. Caryn Hartglass: I might steal that from you. Your cooking is only as boring as you are! Kathy Hester: Even to me even just like crowder peas and rice with a little bit of hot peppers and some sauce, that’s pretty exciting to me. It’s not a boring flavor. Caryn Hartglass: Okay, let’s just start. One of the great things about beans, not only are there like a gazillion different kinds and we’ll get into that but they are cheap. They are affordable and they are super nutritious. Kathy Hester: It’s true, and they are so affordable of all the things you can start buying organic usually common beans are the cheapest ones to start with and they are easy to find. You can even find them in a regular grocery store, organic lentils, and organic pinto beans things like that. Caryn Hartglass: Now, there are different ways to start with beans and you talk about them in your book. You can get them dried and there are different ways to prepare them when they’re dried and you go into pretty good detail about soaking or not soaking, inspecting and rinsing and all the issues. If people want to know more about them, they should get this book and find out of course. And then you know occasionally I’ll grab a can of beans because it’s so quick. Kathy Hester: I think it’s really important to have a few things stashed away in your pantry that you can make spur of the moment because beans, once you are cooking lentils or are using a pressure cooker you kind of have to think dried beans a little bit ahead of time. They can be just as easy as throwing dried beans in a slow cooker while you are sleeping so it’s not hard work but if you just come home and you realize, oops, I didn’t plan anything for dinner you can grab a can of chickpeas and what you can make is pretty endless. You can make hummus, you can make a salad with chickpeas, you can make a chickpea stew, you can make all these things really in less than 20, 30 minutes. Caryn Hartglass: Now just like a lot of foods that we find in the store, in the United States, the big agribusiness has kind of limited what is available and most people do not even realize all of the different varieties of foods that are out there because they don’t see them in the supermarket unless you go into an ethnic market where a specific community is bringing in from their country something that’s familiar to them and that applies to beans because people may be familiar with a brown lentil, a navy bean, a kidney bean but there are so many different beans out there. Kathy Hester: It’s amazing, one of my favorite places to go is the Indian market so if you have an Indian market near you, just to walk down the spices and the beans is an education all in itself. They are so clever with beans, and they have every kind. There’s whole beans with skin, whole beans without skin, split beans with skin, split beans without skin that all get used in a little bit of different functions. For heirlooms, which are really cool but they are more expensive, if you have never seen any heirloom beans maybe at your farmers market, to take a look at ranchogordo.com and just kind of peruse them it’s kind of mind:blowing. Caryn Hartglass: They all can be prepared very similarly but just like anything they have their own unique characteristics, some are chewier, some are mushier, some have a stronger flavor, some have a mellower flavor and they are all worth experiencing. Kathy Hester: Right and garbanzo beans are kind of like almost the most special of all beans because they hold together well under any circumstances so it’s interesting that there are so many different kinds of lentils and so many different kinds of regular beans but chick peas kind of stand alone. Caryn Hartglass: Okay now one of the things that surprised me, I made a big duh when I was looking at it in your book saying of course but you bake with beans and they are sweet and savory baked goods. Kathy Hester: Well it’s also because a lot of my readers are looking for low fat to no fat baked goods so I try to make recipes for everybody. When you are doing something with a baked good, you want to make sure that you are not using five or six dollar beans because you are not going to taste them so using just some plain white beans if they are navy or great northern just really any white beans you get your hands on, the flavor is really very mild. A waffle or a pancake, you don’t really taste the beans at all. Actually, I had a bean hater over because we kind of had the year of beans at my house so everyone who came over knew there were beans in something and so I finally, the bean hater was half way through the waffle so I said you know I have to tell you there are beans in there. She had no idea, and she immediately stopped eating it. It was so sad. Caryn Hartglass: How sad, how childish. Kathy Hester: We all have our thing, so that was her thing. Caryn Hartglass: Well you know, I guess if I was eating a waffle a waffle and somebody said there was dog milk in there I would stop eating it too. Kathy Hester: Yeah, I have trouble seeing beans as that gross because most of the time people who are anti bean they don’t like the texture or they don’t like the flavor or how something had been prepare. When I grew up, I wasn’t a bean lover because I grew up in the south so we had pintos cooked with fatback and raw onions on top, which is not real kid friendly food. Caryn Hartglass: Right. The thing that surprised me is I got into gluten free baking a few years ago, now I’m not gluten intolerant I just wanted to provide more recipes that were vegan and gluten free. I love to bake, and I didn’t want anyone that couldn’t have gluten not be able to bake and bake vegan. And I’ve learned a great deal and I’m having a lot of fun with it but I started to discover these bean flowers and I bake a lot with garbanzo bean flour and fava bean flour and why not use the original bean! Why do you have to even go to the flour? That’s when I went wow, I got to start putting beans in my baked goods. Kathy Hester: Now, here’s the trick though if you are making something sweet don’t taste what’s in the food processor before you add sugar because I always do and I tell everybody else not to do this and I’m like oh is this going to work? And I’m like this is disgusting because it doesn’t taste like a sweet yet. As soon as you put some vanilla in there and whatever your sweetener is it’s perfect. Caryn Hartglass: Well, when I cook with garbanzo bean flower even if you sweeten it it’s disgusting until it’s baked. You just have to know that when you’re doing some gluten free baking and you’re using bean flowers. There’s just a beany flavor, I don’t know how to describe it. Kathy Hester: Well that’s the beauty of it. Caryn Hartglass: When you’re doing a batter, it’s not what you expect. Kathy Hester: It’s true, I guess whenever I think of chick pee flower I always think back to pakoras, which is the first way I was introduced to it and it’s flavor is just so delicious when it surrounds a nice fried veggie. Caryn Hartglass: So to just quickly review, get people’s mouths peoples mouth water there are black bean tamale muffins and lemon coconut chick pea muffins and waffles and somehow you have magically put beans in all these recipes. Savory pancakes, I can’t wait to try some of these. And then, let’s just move onto the purees, the dips and things now fortunately over the last maybe twenty years but humus has really gained some stature in the American diet. Kathy Hester: It’s true, it’s the one saving grace. Whenever you go out anywhere and you are vegan or vegetarian there is always humus now. Caryn Hartglass: The funny thing about humus is humus means chickpea, it means garbanzo bean. That’s how they say it in Hebrew and some other languages. Humus. Now where we started to make humus with other beans, it really isn’t humus anymore it’s bean dip but people need to know that there’s more variation on bean dip than humus. Humus can be wonderful but widen your horizons. Kathy Hester: Well, it’s always easier too if someone like your eye is willing to experiment and see if it works out or not at first. Caryn Hartglass: Well, have you ever made a bad bean dip? Kathy Hester: Not anything that couldn’t be saved. Caryn Hartglass: There you go. Everything can always be saved. Kathy Hester: It’s true, sometimes the best thing is a stew that doesn’t taste quite right and then you put six more things in it and it’s perfect and you never would have done it. I guess I’m an optimist cook. Caryn Hartglass: Well you know, that’s really an important message because there are a lot of people that are afraid of cooking, they don’t know where the kitchen is and then they have to find it and start cooking an the thing is we make mistakes and that’s the only way we learn and many times with food mistakes can be saved and turned into your most favorite dish. Kathy Hester: I always tell people if I can do it you can do it. Caryn Hartglass: Now, why is that? Caryn Hartglass: So that’s a little southern touch we are getting there with the pecans in it? Kathy Hester: Yes, I am definitely a southern girl, it comes out often like in my chickpea patties and cornbread waffles that are in the book too. Caryn Hartglass: Well the wonderful thing about bean pâtés is for people that want to get away from cheese and don’t know what to do I think these different varieties are a great substitute. They are going to taste like cheese, some made with nuts you have an almond cheese spread here a goat cheese, some of them are going to get a little closer, have a little higher fat content but just to have some kind of different flavorful spreads to dip in or to spread on something I think really can take care of a lot of cheese addictions. Kathy Hester: I completely agree. When people are transitioning from one kind of diet to another or eliminating something, I think it becomes a little easier if they have something familiar even if it’s not exactly the same thing. These are things that you can spread on crackers when you have some grapes and wine. If that’s something you’re used to doing every one in a while. Caryn Hartglass: Yeah. And it’s a lot cheaper than cheese. Kathy Hester: Yes it is. Even though there are some nuts in these spreads they are really like a quarter cup to a half a cup of nuts which aren’t hat expensive. Caryn Hartglass: Right and the wonderful thing about nuts is they are loaded with great nutrients and no cholesterol. Okay so let’s move to the soup section. I think most people are familiar with beans in soups but if you’re not making any there’s a lot of different opinions in here to get your soup thing going. Kathy Hester: One of my favorites is the Meyers Soup with black-eyed peas but the Indian split pea and mung bean soup was really a tester favorite too. Caryn Hartglass: I’m just turning the pages here and I’m looking for Indian split pea and mung bean soup. Oh New Years Soup. Now, it’s New Years because? Kathy Hester: It’s Southern. Black-eyed peas, greens, those are two things that you are suppose to eat on New Years day. I was surprised because I guess I grew up that way and everybody I know that isn’t from here knew that already, my editor didn’t know that. Caryn Hartglass: We don’t know everything, do we. Okay and the back to the baking department you’ve got a lot of the different savory items with baking different waffles that are savory, chick pea and cornbread and don’t be crabby cakes, I like that one. The bean is great. I remember, there was a recipe that went around in a magazine or something somewhere that people got very excited about it was a Fettuccine Alfredo low fat version without using cream, they used the white bean and there was a big spin on this for a while but the thing is that white bean can be used in so many different recipes as a white creamy sauce. Kathy Hester: Right, I actually have a vodka sauce that I do with white beans that’s in the book and another spread that I have is a white bean basil spread that I usually use lemon basil with and I actually layer eggplant lasagna with that instead of cheese. Caryn Hartglass: Very, very good. Anyway, there are a lot of wonderful different things in here. Chili of course people know about chili but there are still a gazillion ways to make chili and many other great beans, casseroles you can put it in pasta. But, I want to talk about some other things about beans. Now, people have some problems with beans, can you talk about some of them. I’m not afraid to talk about some things that come out of us from different ends. When people think about beans, a lot of people think about gas, is there a solution for eating beans and not having gas from either end? Kathy Hester: I think the number one problem is that a lot of people aren’t used to digesting that much fiber and it just causes them gastric distress. If they eat a little bit more, that helps. Now, once you have moved out of that category, people who do have more troubles with it and it’s obviously a worldwide thing, because each country and area seems to have its own special thing that it puts with beans. Like Kombu, Baileys, cumin some are savory, hing is also used a lot in Indian cooking. They are all found to make the beans more digestible. Caryn Hartglass: Ah, very good to know that. So we just need to add a little bit about that but I think some people are just always going to have a little gas. Kathy Hester: I think some people, if you have a lot of problems typically because I’m a slow cooker fiend so I tend to slow cook my beans so I don’t soak them because I want them to take a longer time to cook. If you’re having serious problems, I would soak the beans overnight, pour out the soaking water, cook them, and pour out the cooking water. You will use some vitamins that way, but if you can’t digest beans very well you are still getting more than you would get anyhow. Caryn: I’m going to be talking in the next part of this program with Deirdre Rawlings about her fermented food books and I’m going to bring this subject up again because she’s probably going to talk about how people that don’t have healthy guts probably have a harder time digesting beans. Kathy Hester: Interesting, she may have some great fermented food that’s perfect to eat with beans, too. Caryn: Right, so stay tuned for that part. Now the other thing that I find is when I eat beans, they have a lot of fiber in them and I find everything moves quite easily all the way through my large intestine, small intestine, colon, all the way out, I mean I don’t have any problem moving everything through from beginning to end when I eat my beans. Kathy Hester: It’s true, and with some of the sweat treats I’m actually using flax seed eggs, so it’s important that you don’t eat the whole batch of double chocolate devil’s food cookies. I tested out a few cookies in a row one day and I kind of messed up my partner really bad for a few days. Caryn Hartglass: Oh, you think it’s because there was too much flax seed? Kathy Hester: Yeah, too much flax and too much fiber in the bean. She has some trouble with beans, but I felt horrible. Caryn Hartglass: Oh well, you know, that’s the thing. Too much of anything, I think if people ate too many white flour muffins they’d be quite constipated. Kathy Hester: Right, it’s the opposite problem. Caryn Hartglass: Okay, now I had one more question about beans. Oh, I wanted to mention the resistance starch. Are you aware of all the conversations now about resistance starch and beans? Kathy Hester: No, I know about the indigestible sugar and it starts with a p.
Caryn Hartglass: Okay, well the resistance starch is something that’s getting some attention and it’s just one more wonderful thing about beans because we know that beans come with a certain amount of calories and some people may be counting calories, I don’t recommend it but the resistance starch doesn’t digest until way, way down the end of the intestines and you don’t get the full calorie count of the beans as they are presented on a nutritional label. You get full, but you’re not even getting the calories that you think you’re getting. You’re getting less! Kathy Hester: That’s pretty interesting; I’m going to definitely look more into that because that’s an interesting concept.
. How did you come up with that? Kathy Hester: I was trying to think of something to do and I realized I love black bean brownies and if black beans taste good in a brownie, they should taste just as good in a chocolate fudgsicle and they did. Caryn Hartglass: It’s crazy; there are just black beans, coconut milk, coco powder, agave, and a little vanilla. Kathy: Right, and you can switch out that agave to any sweetener that you like and I recommend with all the dessert to switch it to whatever you like and just kind of taste the batter to make sure it tastes sweet enough for your taste. Caryn Hartglass: Well, you don’t add very much. 3 tablespoons for six pops, that’s not a lot of sweetener. Kathy Hester: No, I tend to be on the lower side of that the same way I’m usually on the lower side of salt. Even though I have nutritional information, I don’t in this book give any sodium information because probably ninety percent of the recipes say salt to taste. Caryn Hartglass: Yeah, I’m all for that. I barely add any salt to my food. Salt is a no, no in my book, but people feel differently about it and yes you give them the opinion, if they need a little more salt go for it. Kathy Hester: And kind of the same thing with desserts. Some things I like to have sweeter than others but for some reason the black bean fudgsicle tasted really chocolaty and rich to me without very much agave. Caryn Hartglass: And then there’s the ginger red bean popsicles. Kathy Hester: Yes because I do have a recipe for red bean paste, which is a traditional Asian dessert, which is really interesting, and I’d had it in different pastries before but I’d never made it. I thought, oh it’s going to be complicated and have a lot of ingredients: water beans and sugar. Caryn Hartglass: And a little ginger. Kathy Hester: Yeah, then the pops have a little bit of coconut milk and ginger in them as well to kind of add to that. There’s also a red bean filled muffin too that’s pretty interesting so if you make a whole batch you can do the muffins and the popsicles. Caryn Hartglass: Very, very good. You see, beans are quite exciting from baked goods to popsicles you can do everything with beans and I just wanted to mention the soy bean for a moment. I believe soy beans are a great food, there’s a bit of a hysteria around soy beans these days because unfortunately we have manufactured it into so many different foods and people have issues with it but you do not have to eat soy beans. Even though they are just a lovely simple bean, you don’t have to have them. There are all these other wonderful beans out there and you can do so many great things with them. So Kathy, thank you for The Great Vegan Bean Book! Kathy Hester: Thank you for inviting me on. I really appreciate it. Caryn Hartglass: Yes, and we can find you at healthyslowcooking.com. where you blog and you also blog at keyingredient.com. Kathy Hester: I do, I’m a vegan blogger every Wednesday. Caryn Hartglass: Okay great thank you so much for joining me on It’s All About Food. Kathy Hester: Great, thank you so much. Caryn Hartglass: That was Kathy Hester, the author of The Great Vegan Bean Book. I love beans and I hope you learn to love them too because they’re going to love you and make you look wonderful. Shall we take a little break and then we are going to be back with Deidre Rawlings talking about fermented foods.